The Battle of Belleau Wood began on June 6, 1918, and would prove to be one of the most ferocious battles fought by American troops during the war. 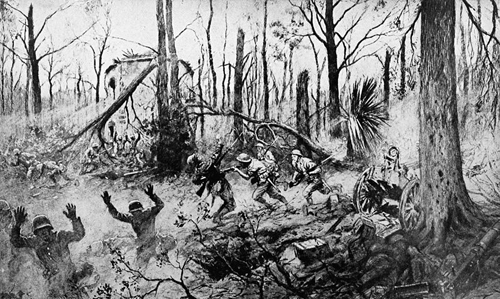 The 5th and 6th Marine Regiments, under the command of the U.S. Army's 2nd Division, were tasked with capturing Belleau Wood and clearing it of German soldiers. 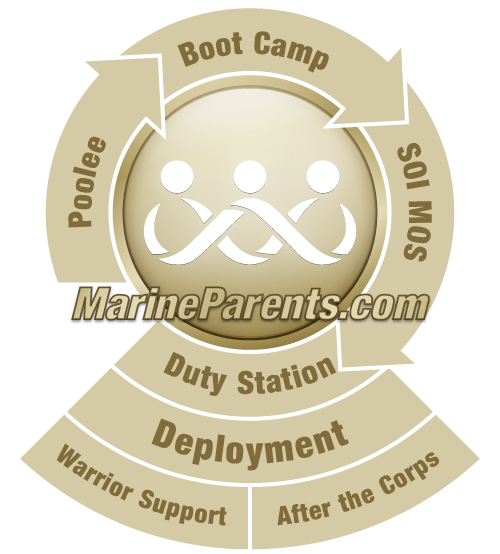 After the battle, the French Army renamed Belleau Wood in honor of the Marines, changing the name to "Bois de la Brigade de Marine"--"The Wood of the Marine Brigade." Furthermore, the 5th and 6th Marine Regiments received the Croix de Guerre, an award for distinction and heroism in combat with the enemy, three times during the First World War--the only regiments in the American Expeditionary Force to do so. As a result, The 5th and 6th Marine Regiments are authorized to wear the French fourragere,a military award that distinguishes military units as a whole and that is shaped like a braided cord, on their dress uniforms. 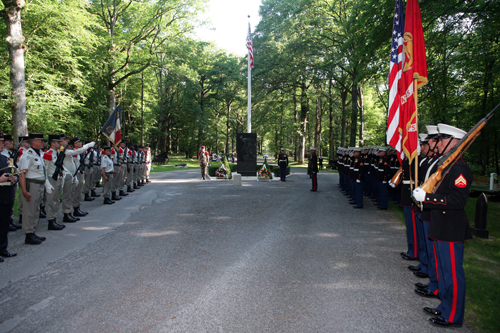 U.S. Marines and French soldiers stand in formation during a private Memorial Day ceremony in Belleau Wood in 2011. 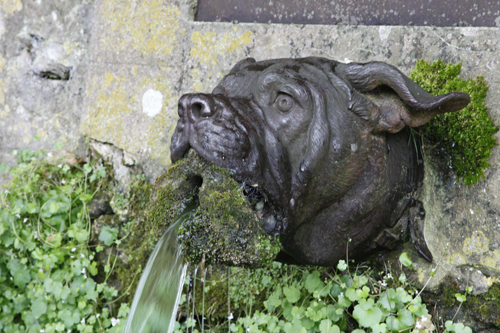 The moss-covered "Devil Dog" fountain, located in Belleau, France, symbolizes the spirit of the Marines who fought there in World War I. Rows of crosses and Stars of David mark the 2,289 graves that at the Aisne-Marne American Cemetery, commemorating the U.S. and French service members who lost their lives during the Battle of Belleau Wood. 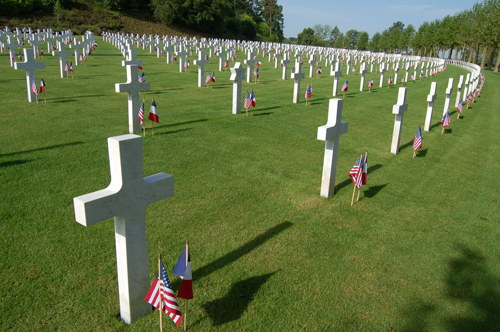 Each Memorial Day, thousands of U.S. and French service members, their families, tourists, and locals, gather to honor the memories of the war-dead buried there.